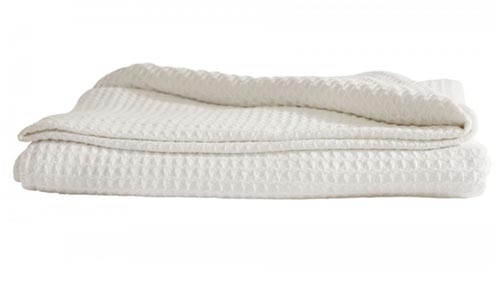 Wonderfully lightweight, and with natural breathable qualities, the Sheridan cotton waffle blanket is ideal for all seasons. The blanket can also be used to add an extra layer to the bed for additional warmth in the winter months. 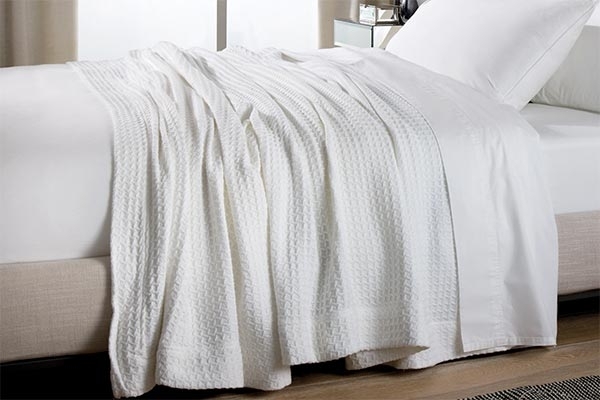 Border finishing ensures the blanket can also be used as a decorative throw. Air drying is best for the longevity of this item. Pull into shape while wet and line dry over several lines. Please always ensure your item is completely dry before storing to prevent any dampness and mildew. Thank you! Excellent Service all round...Product, postage, prompt delivery 3 working days, how do you beat that?